SET YOUR SCHEDULE – Build your schedule of events at SATELLITE with exhibitors, conference sessions, networking events, and meetings right in the mobile app. CONFERENCE PROGRAM – Search for conference sessions to see when they start, what room they are located in, and which speakers are on the panel. EXHIBITOR LISTING – Search for our exhibitors for more information about the company and pinpoint where they are located in the Exhibit Hall. SPEAKERS – Search for speakers by name and view the sessions they are speaking on. FLOOR PLAN – View the show floor plan and maximize your steps by planning out your route! ESSENTIAL UPDATES & INFORMATION – Direct from the SATELLITE team, you will get live updates on all events at SATELLITE. GET CONNECTED – Follow our social media accounts to connect with the SATELLITE community during the event and long after. Search for @SATELLITEDC or #SATShow! COMPLETE SURVEYS – Help us continue to put together a conference that works for you by giving feedback and rating sessions you attend. 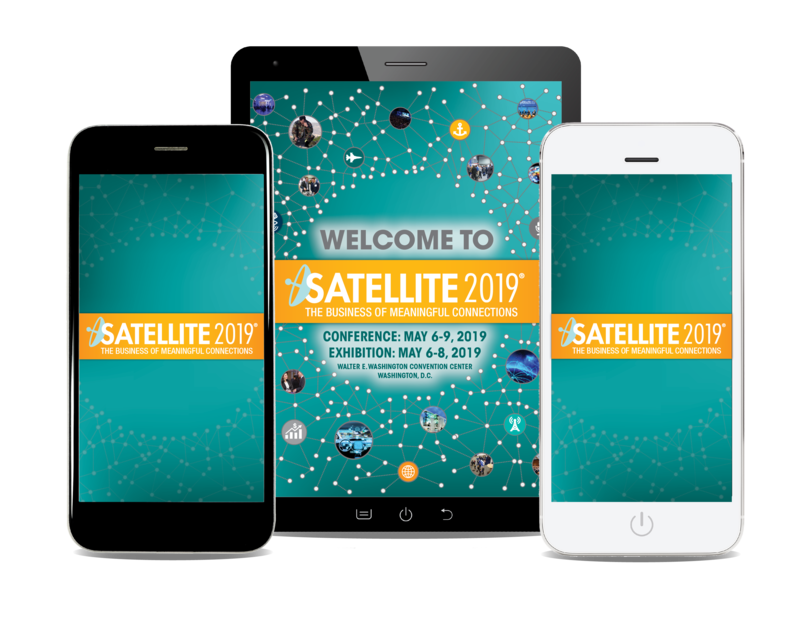 The SATELLITE 2019 Mobile App is now available! Need some tips on how to get started with the app? We’ve got you covered! TIP #1 – Make sure you sign up with a My Show Planner account so you can create a list of must-see exhibitors, mark who you visit, and organize your conference and appointments all in one place! TIP #2 – Pressing the menu button (top left) will navigate to any section of the app. TIP #3 – Anytime you see these dots (bottom) you can swipe left or right to navigate through the pages. TIP #4 – When prompted, make sure you allow “SATShow 2019” to send notifications to your phone so you’re up-to-date on changes throughout SATELLITE week! TIP #5 – When searching for an exhibitor, you can click on the orange button with their booth number to view where they are on the show floor. You can also mark which exhibitors you’ve visit to stay organized and efficient on the Floor Plan! TIP #6 – When you’re browsing the Floor Plan, you can click “Reset” on the top right corner to make the Floor Plan fit to the screen again.